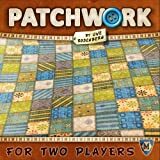 Patchwork is a light two-player board game where you must create a nice patchwork on a quilt board by placing patches in different tetris-like shapes and sizes. 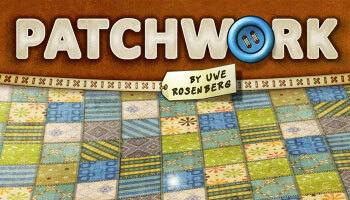 Players pay with buttons to purchase new tiles to add to their quilt. 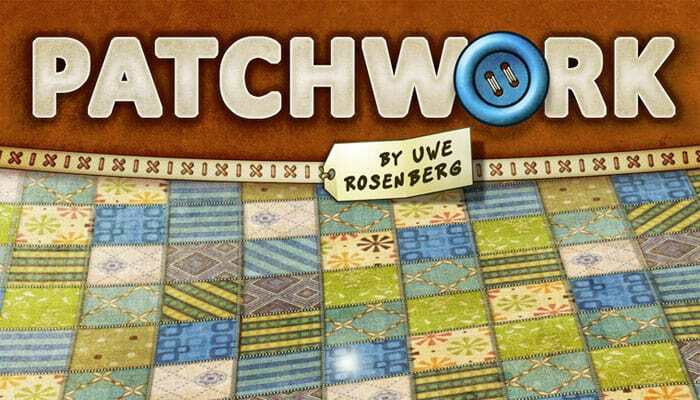 They move the spool to to that patch's location in the circle, add the patch to their game board and advance the time token on the time track. It requires effort and time to make a nice quilt and the available patches do not always fit together. You must choose your patches carefully and keep a healthy supply of buttons to be able to finish your quilt and to make it more beautiful. The game ends when a player moves his time token to the central square of the time track and one final button income is taken from the bank. Every button scores one point but you lose two points for every empty square on the game board. The player with most points is the winner. Each player takes a quilt board, a time token and 5 buttons (as currency). Keep the remaining buttons on the table close at hand. Place the central time board in the middle of the table. Place your time tokens on the startinng space of the time board. The player who last used a needle begins.